Why I decided to go for a 3+ day fast. I started doing intermittent fasting (about 16 hours a day) about 5 years ago when I heard about the bodies mechanism of autophagy (basically the recycling of weak/diseased cells into new, healthy ones). Knowing about autophagy gives proof that the body is not just “wasting away” when you fast but actually uses the time very efficiently to renew and rejuvenate your body. Also, over time I noticed I was very effective with my work during the fast, doing 6-8 hour sessions without needing any breaks and completely being in the zone as I wrote in a previous article about why I would do 16-24 hour fasts. Over the last year though I have seen more and more evidence that extending the fast beyond 24 hours and doing at least 3 days might have benefits that cannot be matched by doing (for example) 3 sessions of 24 hour fasting days in a week. There seems to be some added renewal mechanisms in the body that switch on when you are at the day 3+ count. The research on the fasting mimicking diet also got me very interested as Valter Longo is definitely convinced that fasting for a long duration can be beneficial for people with certain diseases and also in general to promote and maintain good health. However it can be hard for most people to accept only drinking water for a few days so his goal is to make a diet that allows some calories (around 1,000 a day) while studying if it is still possible to activate the bodies fasting mechanisms (which are mostly centered around avoiding completely carbs + proteins for a few days). Anyway, so far in animal models and more and more in human trials its shown that doing this fasting mimicking diet might improve health markers more then just eating healthy for a month or doing a Ketogenic diet so it added even more incentive to me that I need to do a fast if I want to get closer to my potential best health. In my case however, I have enough willpower that if I think something is worth a try I will do it, so I did a full fast and only drank water/tea/coffee for all 5 days. Also, for added incentives I did blood tests before and 2 days after eating normally again to compare the results and see if fasting can actually have a noticeable difference in health markers. I waited a few days after eating to take the blood tests as I wanted to only test what they would “stabilize” at after a few normal days. After all my goal with fasting this many days is as a possible “habbit” that I do every year to stay in a higher mode of health the rest of the year. For some of these blood tests I redid them 3 weeks later to see the difference after eating a few weeks as normal. Day 1 was quite easy for me, I took mct oil with my morning coffee and just drank coffee and tea. Since I often did 24 hour fasts I dint expect today to be any different. My only worry was would I have insomnia and trouble sleeping and start thinking about food? It turns out that all this years I had it wrong, it actually was as simple as sleeping normally. Around midnight I started being tired as usual while reading a book and just slept. Day 2 was quite similar to Day 1 for me except that I took 1 coffee and 2 teas that were’t decaf in the late afternoon and I think it made it a lot harder to sleep that night. I wasn’t feeling hungry or anything, though I am starting to miss “eating” as a pleasure of life, so I think it was most likely too much caffeine. I was recovering from an odd leg injury that I can’t determine the exact cause for about 2-3 weeks now and the last 20% was never leaving me until Day 2 of the fast, at this point its like 10%. Today was the hardest day of the fast, but honestly it wasn’t that hard besides the first half of the day that I felt more tired and some brain fog. I was really surprised by this because I thought this would happen more around day 2. I think this happened mostly because I was missing sleep and I guess I did never fast this long before, my brain was probably borderline missing glucose or something and it made me more cranky. I was still able to work as normal but as effective as Day 1-2 or Day 4-5 which all had great mental clarity. And since I dint need to “bother” with eating, I got a lot of work/reading done. Also my leg paint/discomfort is completely gone now, I walk/run normally like before which is an added bonus. I can’t specifically prove that fasting had a big impact on accelerating my recovery but at any rate it definitely did not slow it! Morning Ketone test: 5.0 mmol/L ! Wow, that shot up since last night! 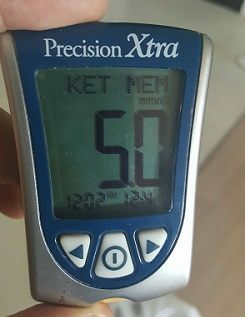 I never reached such a high level even on keto diet. Not sure why my ketone levels went down this morning, but I don’t notice any mental difference from day 4. Today is the day I break the fast as planned, I started eating again in the second half of the day with a little fats like butter in coffee around noon, then later I had a very small salad with eggs. I did not notice any difference in digestion and a few hours later just ate as normal, mostly medium fat, medium protein and lowish carbs (under 100g). In terms of difference in my blood markers the majority of them stayed the same besides 2 that I was hoping that would change in my case which was C reactive protein (because they were very elevated pre fasting for a “healthy” individual) and IGF-1 (which Peter Attila says is an important marker to keep low as there is correlation between it and cancer growth/risk). I also saw slight improvements in Lipid profile (cholesterol). The only thing that worsened a bit (that I notice at least) are my thyroid hormones, however the next test I did at the end of December shows that they rebounded so I don’t think anything to worry there. The majority of my other blood markets stayed the same, which is a good sign I guess. “Fast track” way to lose body fat? 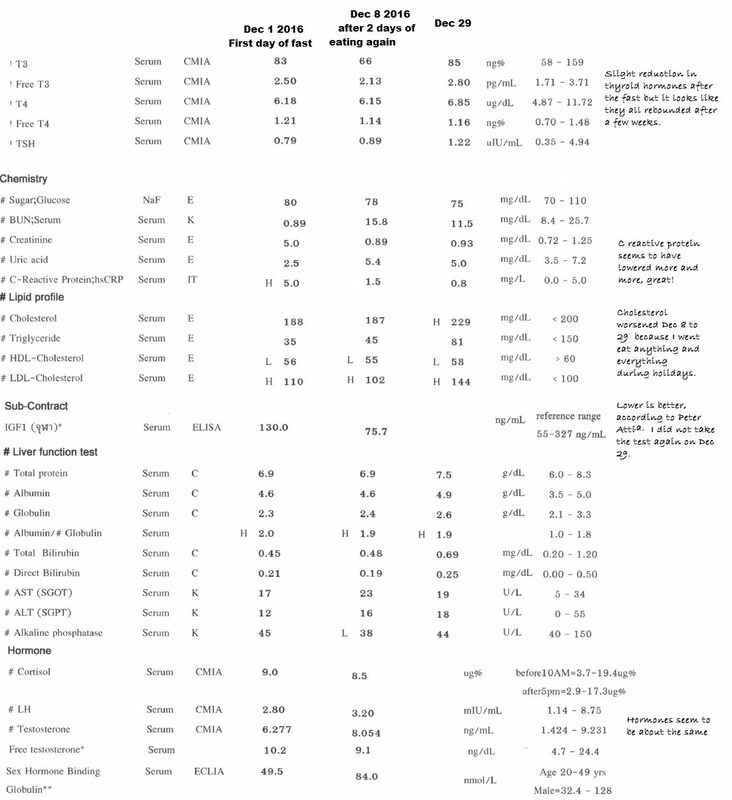 I tried during 2 separate months during 2016 to cut to 10% body fat (and both times got around that), and I think next time I try to reach that % of body fat I will simply fast 3-6 days or so which resulted in about the same decrease in body fat as I was able to achieve in 4-6 weeks of weekly caloric deficits (usually about 1,000-1,500 per week). Not only does this makes it a lot faster, but at the same time I get the benefits of autophagy that comes with 3+ days of fasting. I guess it depends on someones personality but I could argue that it is easier for me to schedule 3-6 days of “fasting” once every few months to cut then to make a daily effort into monitoring my calories over a few weeks in a “cutting phase”. I would then use the following weeks after the fast to get back to hitting the gym and regaining what little muscle I lost (if any) and continue towards strength/muscle gains. I don’t think I lost much muscle and even if I did I would gain it back very fast. I tried fasting again 5 days a month later (middle of January 2017) and I had a similar experience, also in this case I used about 1.5g of BCAA’s as per Tim Ferris’ recommendation in his new book tools of titan which he says was enough to prevent almost all muscle loss according to his DEXA scans.During this second fast I started doing yoga to work on my flexibility in case I do have spondyloarthritis and the 3 sessions of Yoga I did felt kinda normal. I had some soreness the next day but I think I recovered as if I was eating. Also during this second fast I allowed myself up to 400 calories from fat a day in this second fast (no protein or carbs though), mostly because it seems like very low amounts of fats won’t stop the major benefits from fasting to happen and it made it a lot easier to do the actual fast when I could allow myself hot chocolate with some butter or add a bit of butter/coconut oil in tea/coffee as a meal, usually after I would do exercise like Yoga or long walks. Overall fasting was a lot easier then I thought, the only noticeable downside is that you lose the easy “pleasure” of going to eat a meal or restaurant. It’s hard to explain what I mean unless you fast but I noticed how eating is simply a very easy (in our modern society) daily pleasure/happiness boost. Since I often do intermittent fasting my body seems to be used to burning fat as fuel and using ketones, which probably explains that I only had one day that I felt less good and had less focus at work then usual which was day 3 (I do think this was mostly because I slept less well because I abused too much on late coffee/tea during day 2). One of the major reasons I decided to try fasting was because I felt I might have some gut bacteria issue and after consulting a doctor I was diagnosed with stage 1 of spondyloarthritis which is an infectious form of arthritis. Reading online it seems like a no starch diet can help those who have this so I decided since I’ve been wanting to do multiple day fast for many months now, I might as well do it now just in case I really do have this condition since obviously I will have 0 starch if I am fasting (I am still not sure if I do or not have this condition or something else that made me feel like my joints were a lot weaker than 6+ months before … However my symptoms GREATLY improved during and after the fast. My inflammation and joint problems were severely reduced, which simply due to this definitely made me feel a lot better after the fast then before. Also, I will have to try this more but instead of a cutting phase in the future I think I will just do a few days water fast (with bcaa and a little fat), it seems more time efficient to cut at or under 10% body fat and at the same time I can reap the possible longevity benefits. Thanks for the useful info on fasting. Where did you get your blood tests done and what specific tests (the names) did you do? 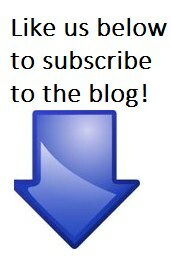 I am 251lbs and want to reduce my weight and get my body detoxified. 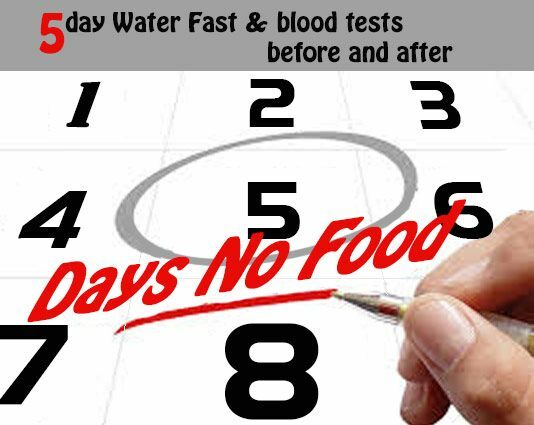 I am wanting to test my blood prior to a 28 day fast and then when done. I wouldn’t mind testing in between but am wondering where I get this done, will insurance pay, etc. You’ll have to look for somewhere near you, usually online is a good source and calling to see if you can basically fill a checklist of blood tests you want done and ideally not have to pay the extra fee for doctor consultation (or you can but unless something is out of range I don’t think paying extra for a doctor is important at this point). Insurance might pay, I paid it out of pocked as I travel around and my insurance won’t always cover me.